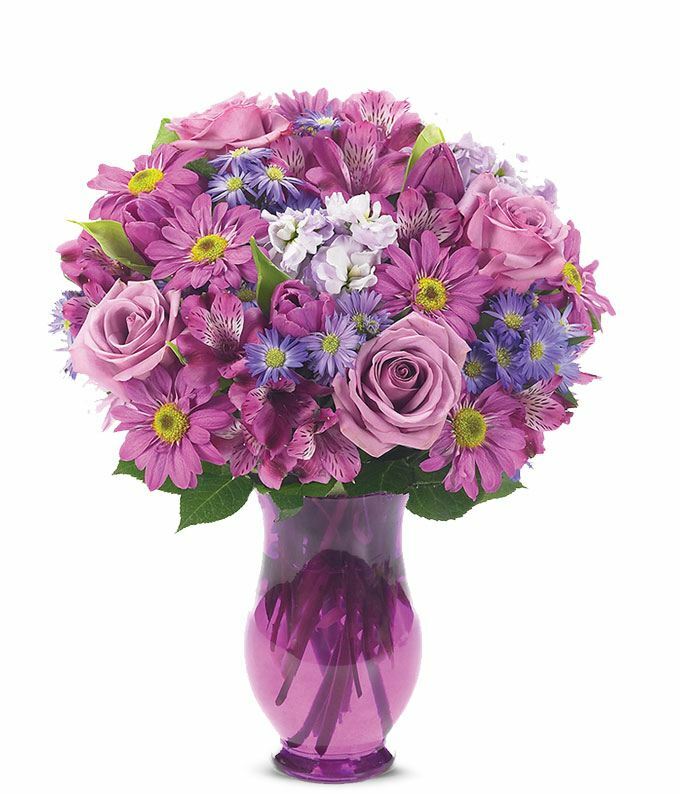 Welcome springtime with this beautiful lavender filled floral bouquet. Lavender alstroemeria, daisies, roses, tulips, and waxflower are hand-arranged in a purple vase by a local florist. This bouquet will bring sunshine to anyone's day and is available for same-day delivery. Measures 15"H by 11"L.